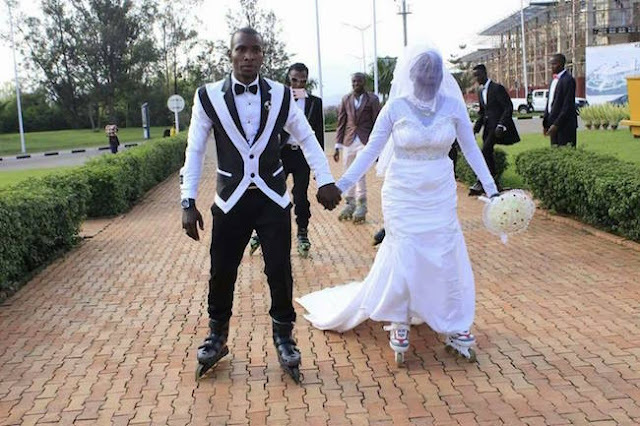 This couple became the center of attraction at their wedding ceremony today after deciding to stage a dramatic entry. 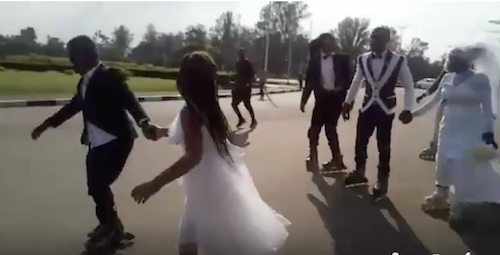 The groom, bride, flower girl and groomsmen were all spotted leaving the wedding venue for the reception with their roller skates as residents gathered to catch a glimpse of them. 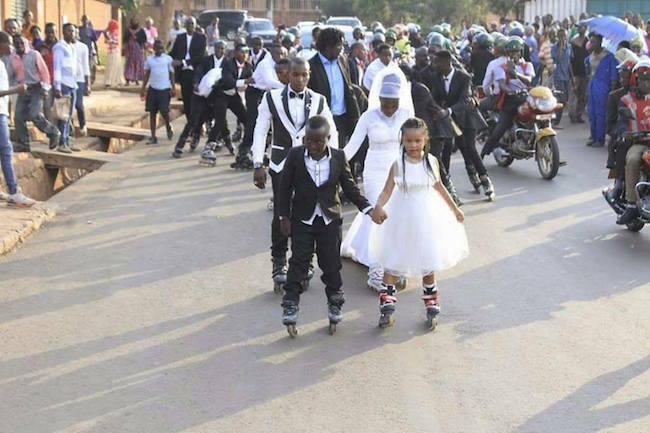 They blocked a highway as they rolled happily after the wedding ceremony. The wedding took place in Kigali, Rwanda.